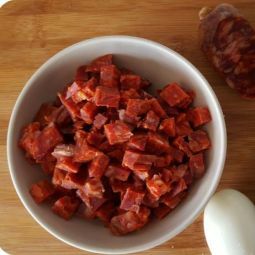 Our Chorizo Extra in Chunks comes from the province of León. 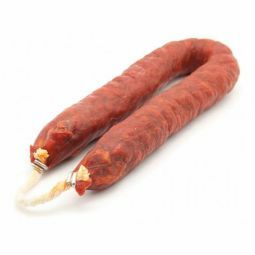 This great product unites everything that is expected of an Extra-Lion chorizo: A firm, juicy, intense reddish color with a fair white veining and a great refined flavor and a distinctive aroma. 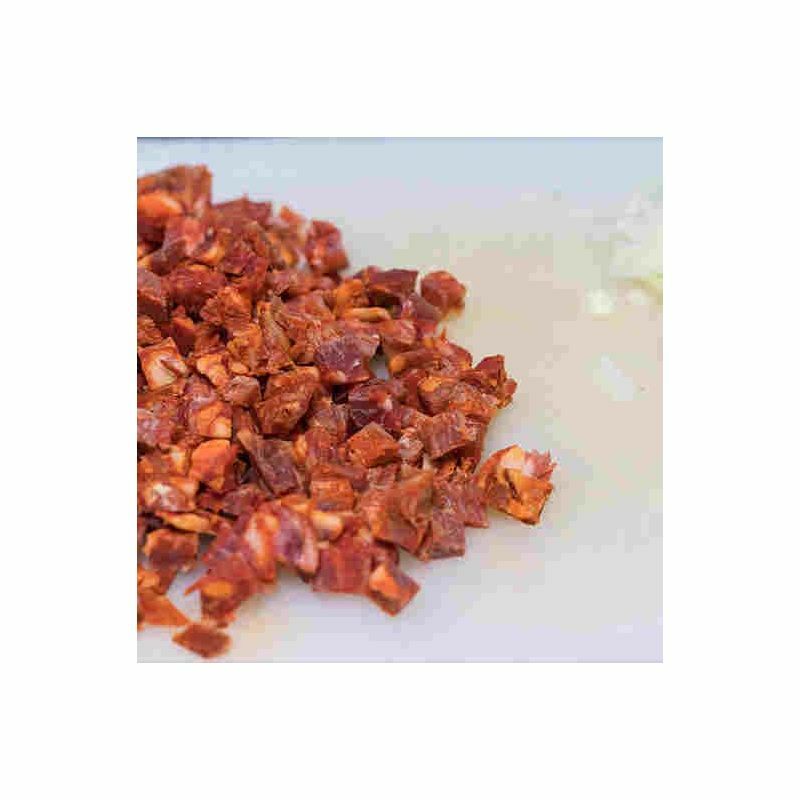 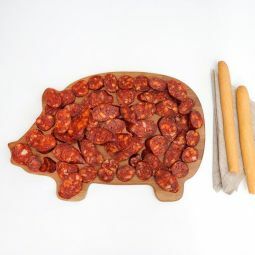 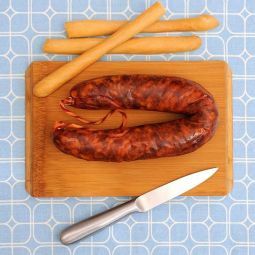 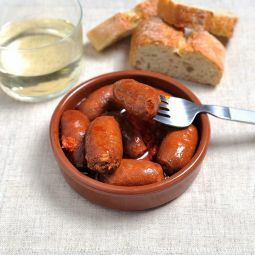 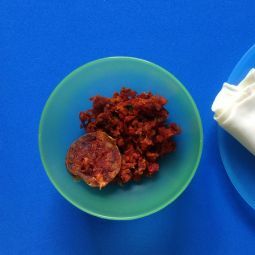 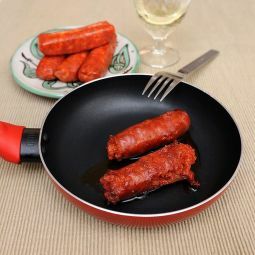 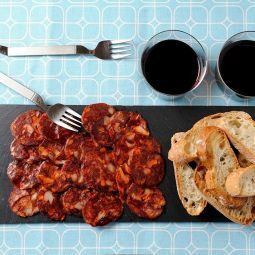 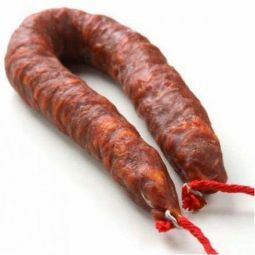 The Extra Chorizo is made in a traditional way using the best raw material.